Counting backward from 10. Halloween Craftivity. Zoom, Zoom, Broom. 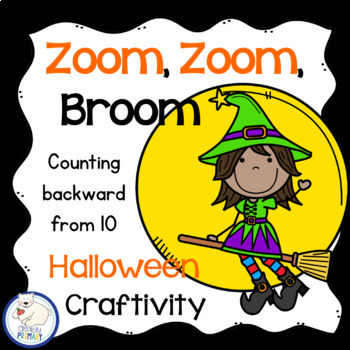 Practice counting backward from 10 with this fun craftivity. Based on a Halloween version of the familiar song Zoom, Zoom, Zoom (We are going to the moon) students will be creating their own spooky Halloween countdown. 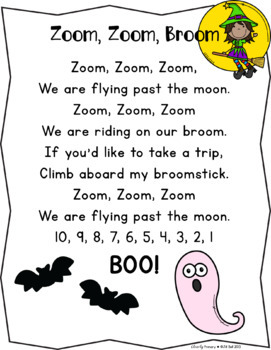 Zoom, Zoom, Broom Poem: A Halloween version of the familiar song Zoom, Zoom, Zoom. Color and black & white versions included. 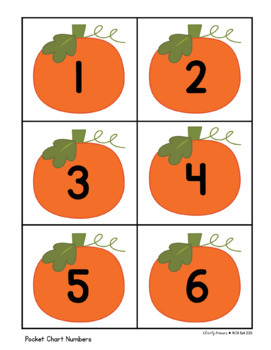 Pocket Chart Countdown Pumpkins: Pocket chart number cards to use for instruction and practice with counting backward from 10. Craftivity: Students cut and paste to create their own Halloween countdown craft. 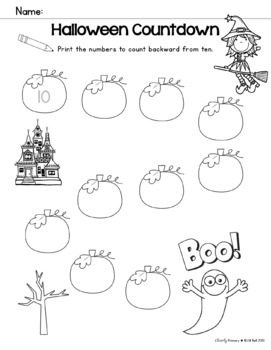 Worksheets: 4 Halloween worksheets to practice counting backward from 10.